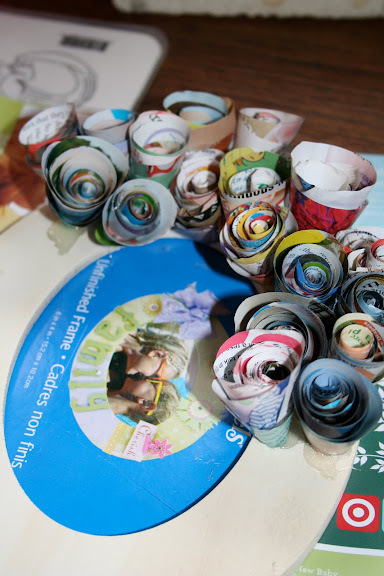 If you are a friend of mine (or my mom), you already know that I often take on craft projects that are "too much" in some way...either too difficult for my novice skills, too many steps to complete in the amount of time I have on hand, or just too much in terms of how many I want to make! It's honestly getting to the point where I start a project and just wait for my "too much meltdown" to take place! Sad, but true. Usually I push through it no matter what...I ask someone with skills for help, I stay up all night to finish, I give partially finished gifts & then take them back to actually finish them (again, sad but true). But in my Mother's Day crafting prep I actually scrapped a project! Like not "put on the back-burner to finish someday" (don't even get Matt started on all of those projects waiting for me), actually stopped forever! So back when I was project planning...I had a bunch of ideas of things to make and thought I would make something special for my Mom and also for Tracie (bestie AND daughter's Godmother gets you better stuff...sometimes). 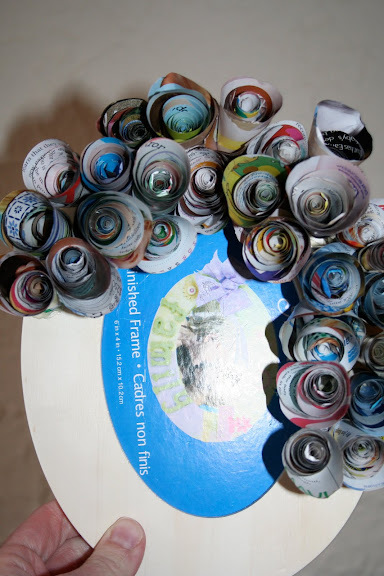 When I saw the tutorial for this paper flower frame, I decided that they were not only super cool, but that I'd also make one for myself and one for my friend Leslie. What felt like 50 roses (cause it took like 2-3 hours to do) was really about 25 roses. And it covered about 1/3 of my frame (and I'm being generous with that math). Do you see how in the top pics they have like 16-25 roses on each of the smaller frames? How small were those frames? 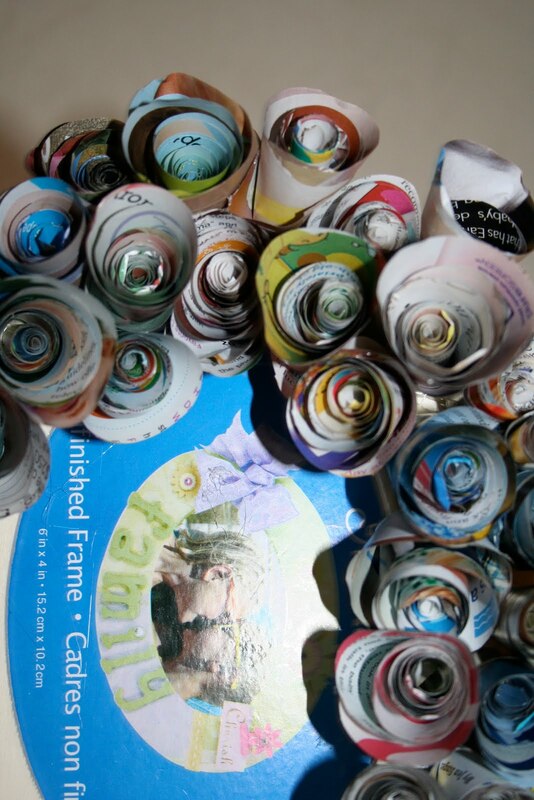 I've got 25 roses (made from the largest size magazine I had) on a 6x8" oval frame (with a 1" surface) and I'm not even close to finished! And ended up with this...I was done! I don't know why I stopped (well I mean Mother's Day was here already, but these would be fine for anytime gifts), but I do know that while this project was simple, it was also time-consuming and just not my thing. I did want to share it though because I do think it worked easily enough and if I were to have finished and spray-painted it the pale pink color I chose, it would have been lovely. So...has anyone ever done one of these frames? Anyone want to try one yourself? I've got a half-completed frame waiting for you! this would be the coolest project!!! i love everything you find and love the gusto you put into it! !